We are recovering from the aftermath of a violent windstorm that swept across Michigan for most of Wednesday. The Palladium office and warehouse miraculously survived the windstorm without any serious problems. Lights flickered a few times, one tree came down, and we lost Internet access for a short while, but other than that, we are fully powered, at least for now. Unfortunately, Kathy Simmons, Chuck Walton and Wayne Smith are all down and dealing with storm issues. They are among the estimated 800,000 people in Michigan without power. To complicate matters, the weather, which had been spring-like, is dropping to freezing and below for the next 6-8 days. Our hearts go out to the many with down wires, uprooted trees and power outages across the Midwest and into lower Canada. We hope your power is restored soon! The windstorm did not prevent our printer from delivering The Rifter® #77 a day early. We packed up subscriber copies Wednesday afternoon and shipped them all out this morning. Distributor orders ship on Friday. It is another action-packed and fun issue with “official” adventure source material for Heroes Unlimited™ (Doc Feral and super-powered mutants), as well as some very fun material for Palladium Fantasy® (a new city-state to explore in the Old Kingdom) and Rifts® (a TW city and characters that will surprise you) and ... are you ready for it, the final chapter of the epic, Splicers® I am Legion adventure source material, also “official.” Shipping now! 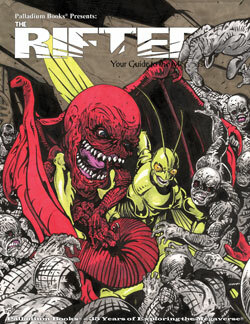 The Rifter® #76 is also available now. More than half of it is “official” source material, including The Primorda, “Official” for Rifts® and Palladium Fantasy® (new Elemental beings and their monstrous riding animals), and “official” adventure source material for the Splicers® I am Legion story which sees its conclusion in The Rifter® #77. There is also an adventure setting with villains and enemy forces suitable for Heroes Unlimited™ and Ninjas and Superspies™, and other good stuff. As you might expect, Carmen has good days and rough days. I am happy to report that the good days outnumber the bad, and he has found working on the Rifts® board game to be therapeutic. Every time he and I talk about the game, I can hear the excitement in his voice. Our sincere thanks to those of you who have expressed your support and well wishes for Carmen, his family, and the Rifts® board game. I spoke with Carmen Bellaire this morning and he confirms that he is still shooting for a late April into May Kickstarter for the Rifts® Board Game Kickstarter. He seems quite happy with the polishing up of the game rules and card layout. Though a lot of the art and design is done, sculptors and artists continue to work away at what is left on the project. I have written about how the Rifts® Board Game and a successful Kickstarter for it will help launch Carmen’s own game company, Rogue Heroes Publishing, a longtime dream of his. And how he has put more than two years into developing the Rifts® Board Game. But it is more than just Carmen’s dream. The sculptors and artists have put their hearts and souls into making this game amazing, and Carmen’s family have put their trust and faith in all of them. For me and Palladium, the dream is two-fold: One is seeing Rifts® expand into new mediums for people to discover and enjoy, and two, seeing a hardworking creator given the opportunity to follow his own dream. Carmen Bellaire’s Rifts® Board Game is the stuff of dreams for a lot of people, and that includes you. If the game is a success for Carmen, it is just the beginning of his plans for Rifts® in miniatures as well as many other realms of adventure burning inside his imagination, waiting to come out. 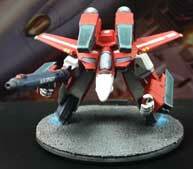 From Robotech® RPG Tactics™ to entirely new games and ideas, Carmen has a great many game ideas. I hope you will find it in your hearts to help make Carmen’s shared dream for a Rifts® board game a reality. The Kickstarter looks like it will run from the middle or end of April into the first half of May (tentative). Watch for it. Support it. And spread the word to see where this new beginning for Carmen and Rogue Heroes™ Publishing carries all of us. And most of all, dare to follow your own dreams. 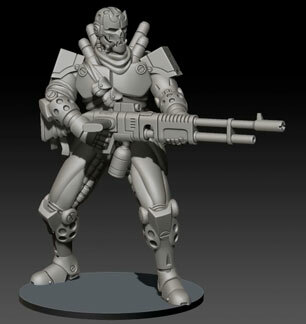 Go to the Rogue Heroes Publishing Facebook Page to see more images and up-to-date information. It may have taken what feels like forever, but things are really starting to come together for the relaunch of Robotech® RPG Tactics™. All kinds of plans are beginning to gel in regard to product, promotion and organized play as we wait for feedback on new ideas and approaches to manufacturing. I’m afraid we still do not have hard details to share just yet, but they are coming. And if things pan out the way we hope they will — wow. We are considering (and getting quotes for) several different levels of possibilities, and this is not just for RRT Wave Two, but for long-term plans for Robotech® RPG Tactics™ overall. Some of the smaller, short-term plans should start to manifest in the weeks ahead, while the bigger plans we hope to be able to offer soon. I know some frustrated backers have decided that Robotech® RPG Tactics™ Wave Two is never coming out. I understand their frustration, because we share it. What they may not seem to realize is that RRT is one of Palladium’s dreams. We are uber fans of Robotech® and our intention has always been to bring you Robotech® in a new, dynamic way with gorgeous game pieces and tactical combat rules. 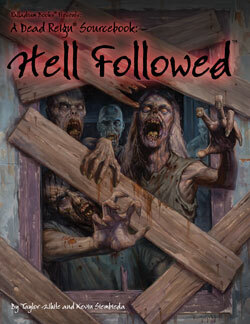 As the old saying goes, The road to Hell is paved with good intentions. But WE have never given up on that dream and are doing our utmost to make it a bold reality. We’ve learned from our mistakes and are working hard to right the ship and deliver on our promises. An opportunity has arisen for us to make that happen in a big way and we are exploring it with all our might. Keep the faith! Wish us luck and hope that we can make this all happen. When we have the hard details, our Kickstarter backers will be the first to know about them. 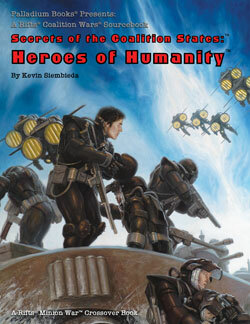 Palladium Books will be at AdeptiCon selling and demoing Robotech® RPG Tactics™. 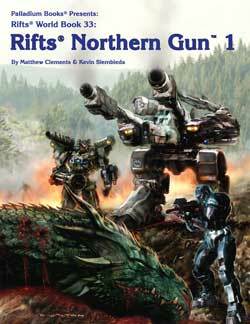 There will also be a selection of Robotech® RPG books and select Rifts® and other products available. 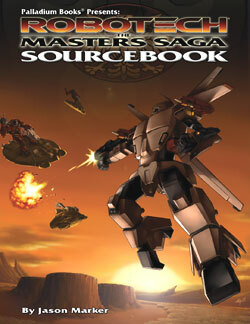 The Robotech® Masters’ Saga (Southern Cross) sourcebook is especially nice in the 8½ x 11 inch format. Also stop by the Palladium Books booth at AdeptiCon to get the latest news and a special promotion for the Rifts® Board Game. Carmen Bellaire cannot make AdeptiCon this year as he had intended, so we will be representing both Robotech® RPG Tactics™ and the Rifts® Board Game coming from Rogue Heroes Publishing. (Anything to help our friend, Carmen and his dedicated crew of creators.) Thank you. Work continues on Arsenal. 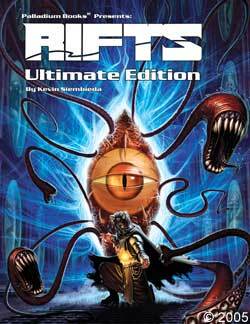 Rifts® Heroes of Humanity, Rifts® HoH CS Arsenal, The Disavowed and Megaverse® in Flames are laying the groundwork for something big. Work also continues on this book. I will be assigning the rest of the artwork for it next week. Artwork continues to come in for Sovietski and is looking good. Artwork for Garden of the Gods has been assigned. Other books in development for Palladium Fantasy®: Lopan™ Adventure Sourcebook, Lopanic Games™ Sourcebook and Land of the South Winds™, among other things. Artist Nick Bradshaw continues to work on the interior art, while E.M. Gist works on giving us another dynamic cover. I had a good time at CoastCon last weekend. The convention was smaller and calmer than I thought it would be, which meant I could unwind and relax a bit. The convention organizers are all very nice people and seemed to appreciate my being there as a guest. I met one of Palladium’s Megaversal Ambassadors (hey, Synjyn) and a number of fans. Some of whom came to CoastCon just to meet me, which is always flattering. I hope I did not disappoint. My two Lord DeSilca games were a blast. The first one, the players were efficient, organized and excellent role-players. They also did a couple of things that I had never experienced over all the years that I have run this tournament game. That’s why I love role-playing; when you think you have seen it all, you haven’t. The second game was more chaotic and frantic, but again, great role-playing and a lot of fun. These guys saved the day with scant seconds to spare. A lot of fun. Another fun event was being part of the Would I lie to you? panel/game/exhibition. That garnered a lot of laughs and I recommend it becomes a permanent part of the convention’s events. Otherwise it was mostly all about gaming. Nice. The other nice part of the trip for me, besides being right off the beach in a spring-like environment with green trees and grass in the dead of winter (it was snowing back home in Michigan), was hanging with Sean Patrick Fannon (Rifts® Savage Worlds), Jason Carter (Babylon 5 actor), the supremely talented Tara Andrus (artist), and making new friends like Tony, Steve, Mike, Pauline, Brian, Dave, and others. I have talked a lot about dreams lately. That is because writing books and creating games is all about dreams. The ability to imagine new worlds, heroes and adventures. Not just imagine them, but to find the courage to bring them to life as a published book or game. It takes a lot more courage and work than you might imagine. There is no guarantee of success (or continued success) and you – the creative force behind it – put your heart into everything you do, so you are putting yourself out there for everyone to see. It’s hard. I’ve been doing it for a lot of years now, and it is still a bit scary, because you care. Care about the integrity of your work and the many other people – artists, writers, editors, staff, and fans – who have become attached to your work. Thirty-six years and I still dream and imagine and create with the enthusiasm of a game designer looking to launch his first game. Each book or game is like a newborn to be proud of. Something that has gestated and grown over the course of many months, sometimes years. That’s probably why I am so excited for, and supportive of, Carmen Bellaire with his Rifts® board game coming from Rogue Heroes Publishing, and Sean Patrick Fannon with his work on Rifts® for Savage Worlds. When you’ve been able to live your own dreams, you want to help others realize theirs. And though I have been talking about the dreams of the creative people behind making something, it is all really about YOU. 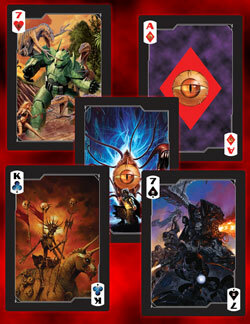 Every game and book Palladium has ever published is for you, our audience. As we design our games, we think about you. How you will go wild over this power or ability, or weapon or character. How you will enjoy this world or that setting. Or be delightfully surprised by a new revelation or innovation. We do it for you. We always have. It’s all about the audience and making you squeal with delight with each new release. I wish you could see into our minds and hearts, like Professor X of the X-Men, so you could feel our sincerity and excitement. So that you could glimpse, even for a moment, the many things we intend to bring to you. 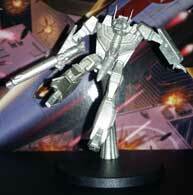 The earth-shattering plans for Rifts®, for Robotech®, for Heroes Unlimited, and all the rest. Things we are actively plotting. Writing. Drawing. Forming and coming to life in our imaginations for you. Things I cannot share with you just yet for strategic business reasons. (The downside to creativity being tethered to having to make a living.) I wish you could see it, because the things we have planned – me, Carmen, Sean, Chuck, and all of us – they are truly earth-shattering. Epic. Things that are going to change the way you look at our games, maybe even role-playing, and hopefully inspire you to dig out your old books and snap up the new ones with unbridled excitement. The kind of excitement you felt when you first discovered Rifts® or Robotech®, or the Teenage Mutant Ninja Turtles® and Palladium Fantasy®, or D&D or whatever RPG first set your imagination on fire. 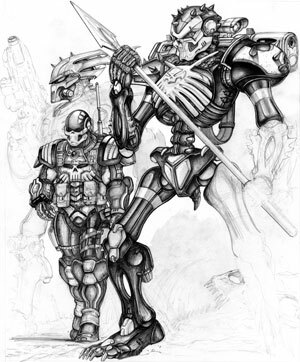 I just want you to know that great things are being built behind the scenes at Palladium Books, Pinnacle Entertainment and Rogue Heroes Publishing. That the plans at Palladium for the next three years are going to wow and intrigue you like you haven’t seen in ... maybe ever. And I want to thank you for being my inspiration. I never had the classic “muse.” That one person who inspired me to strive harder and reach for the stars. I’ve had lots and lots of them. Millions of them, because you, our fans, are my muse. You inspire me to push the envelope and boldly go where I have not dared to tread before. You inspire me to take chances and dare to dream. Thank you. Keep those imaginations burning and game on! 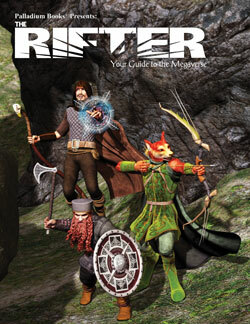 The Rifter #77 – Winter issue – 96 pages – shipping now! The Rifter® #76 – Autumn issue – 96 pages. 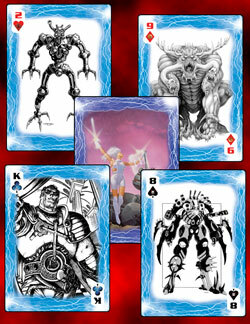 Rifts® Heroes of Humanity™ ARSENAL – 96 or 128 pages – March, in production right now. It too is laying the groundwork for something big. Working on it now. 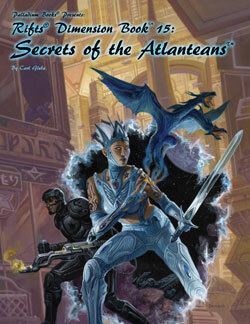 Rifts® Secrets of the Atlanteans™ – 192 pages – by Carl Gleba – March/April, also in production now and looking great. 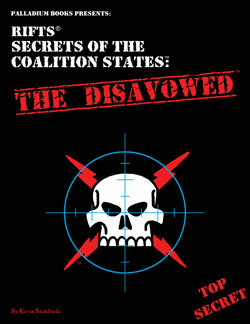 Rifts® The Disavowed™ Sourcebook – More CS intrigue leading to something big – April/May. Dead Reign® Inner City Survival Sourcebook (tentative title) – by Kevin Siembieda – Spring. New! The Rifter® #77 – Now Shipping! 96 pages – $13.95 retail – Cat. No. 177. Now available!